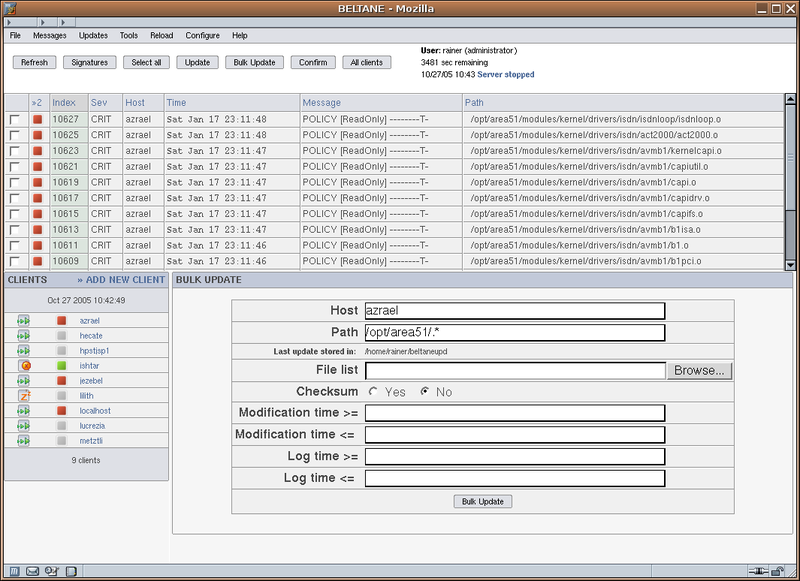 With Beltane 2, you have all important information easily available: new messages from clients, the status of each client, the highest priority of new messages for each client, and of course the status of the server itself. Messages can be sorted on the fly by clicking on the table headers. The client list can be sorted alphabetically or according to the priority of new messages. 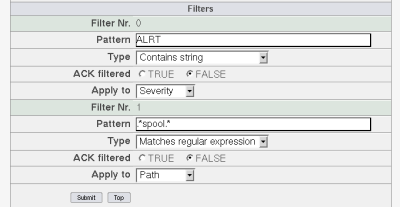 Just clicking on the message brings up all details stored in the database. 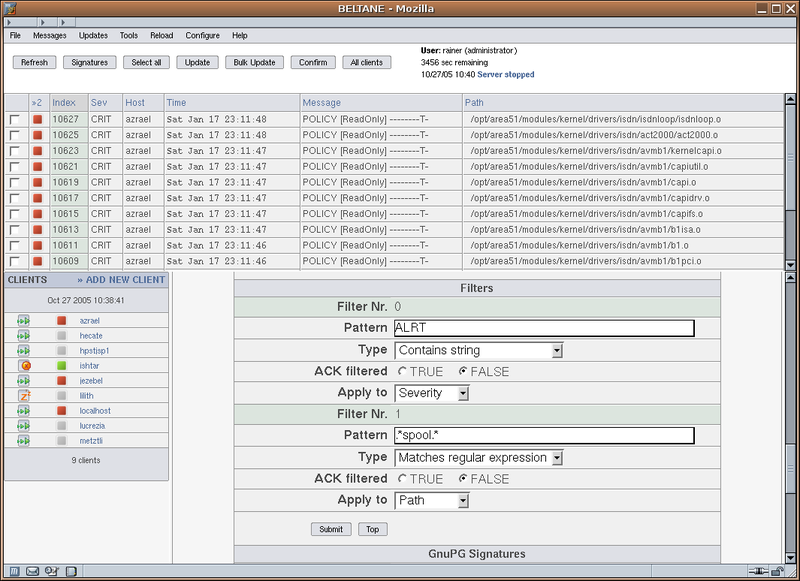 With Beltane 2, messages can be filtered, and filtered messages can be acknowleged automatically, if desired. The interface (e.g. width/height of panels) can be configured to match best your display size. Additional users can be defined, with or without privilege to perform update operations. 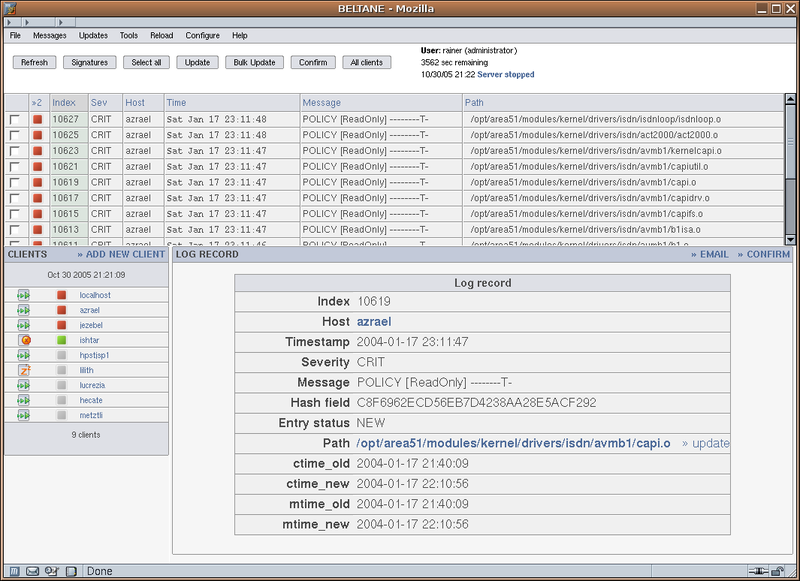 Beltane 2 allows you to easily perform bulk updates for client baseline databases. 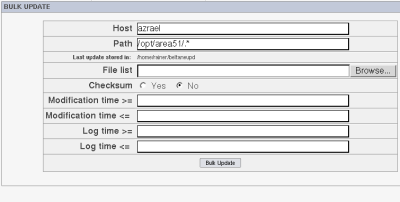 Just define appropriate criteria to select a subset of hosts and messages, and run the update. Client hostnames, and paths for modified files, can be specified with regular expressions. You can also supply a list of files for which performing a database update is ok, and/or provide limits for the modification time of the files, or the time when the event was logged. 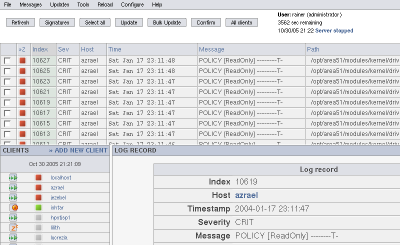 Of course you can also select individual records in the message list and run database update just for these.